A decade ago, even 5 years ago, SEO used to be easy. Go out, place a bunch of links in some blog comments or send out some mass emails to webmasters promoting your site, get links rolling in, and wait for Google to reward your cleverness with high search rankings. You didn’t even have to have intelligible content on your website, you just needed a lot of links of any quality to your site and you’d win. Those days are long gone. Today, using tactics from even just a couple of years ago can not only fail to boost your rankings, but outright cause real harm to your website and corporate brand. For example, in the last 2 years, Google has iterated its algorithm over 40 times that we know of publicly (Panda, Penguin, Hummingbird) to increasingly devalue any SEO trick that can be automated. Everything from keyword stuffing in press releases to spammy guest blog posts has been targeted by Google for punishment. So what’s a brand that relies on organic search to do? It turns out that what Google values the most – links and mentions from high quality, high reputation sites – is exactly what competent public relations professionals have been doing for decades. Think about it for a second. The goal of public relations is to create attention, awareness, and trust by getting other people to talk about your brand. The goal of SEO now is to create attention, awareness, and trust by getting search engines to display your brand near or at the top of search rankings for relevant keywords and terms. Both PR and SEO are all about getting other people to recognize that you have something to contribute to your industry. PR and SEO have almost identical processes: reach out to relevant publications, make a timely, targeted, relevant pitch to the publisher, provide great content to the publisher’s audience, and get accreditation for your work. The only significant difference is that SEO folks are usually more vigilant about getting a link in an article than PR folks; otherwise, the processes are about the same. The outcome is the same as well – attracting new, relevant audiences to your brand. It doesn’t matter whether someone visits your website from a print magazine article or a Google search – at the end of the day, you want them to visit your website by any means permissible. So if PR and SEO are functionally the same thing, what does this mean for both? If the processes are the same and the outcomes are the same, then the same people should be managing both for maximum synergy. SEO doesn’t belong in the marketing department – it belongs in your public relations and media relations department. PR shouldn’t ever work in a silo, either. Your SEO teams should be working side by side with your PR teams to ensure you have common research, messaging, creatives, and content (all part of the same earned media hub). On a practical level, PR can teach SEO folks how to pitch better. PR folks generally have better media tools like Cision, Vocus (client), Sysomos, etc. for finding high quality publications to pitch, and the best PR professionals are supremely good at building and maintaining long-term friendly relationships with their media contacts. Conversely, SEO folks generally have better research tools like Google Webmaster Tools, Google Analytics, Google AdWords, etc. for identifying early trends, niche topics, and important words and phrases that should be common across a brand’s media properties. 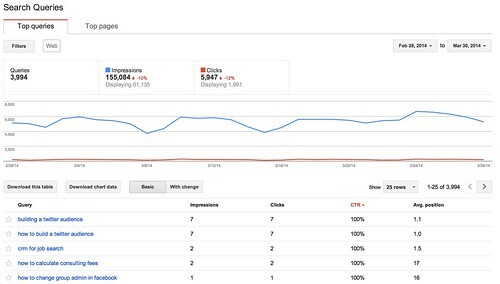 Here’s a very practical example: log into your brand’s Google Webmaster Tools account and look at the search terms that you’re getting a lot of traction for. If you haven’t already created content to pitch about those terms, start writing! If your PR team and your SEO team aren’t working together, chances are you’re not going to reap the benefits of having each specialty. If you have a PR agency that is unaware of SEO tools and methods, they won’t be able to do as good a job as an agency that does. If you have an SEO agency or team that isn’t coordinating with PR, sit them down in a room together for an hour each week and have them do their editorial calendars and pitching schedules as one team. Assuming that everyone understands that they’re on the same team, your results from both disciplines should improve dramatically. PR Pros: Get our new mobile app, ZiPR!